Tennis star Roger Federer on Monday swapped his racket for a pair of scissors to cut the ribbon at a new childcare centre in Malawi funded by his foundation. About 10 kilometres west of the capital Lilongwe, the windswept village of Lundu has neither water or electricity, let alone basic education facilities. 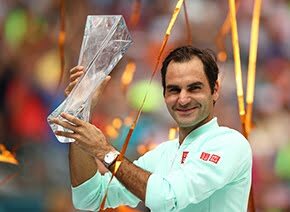 But the new centre, Federer predicted, would be a "pre-school of excellence and an important milestone" in the lives of children. "Too many children are waiting for good pre-schools and early chilhood development centres," the 17-time Grand Slam champ told officals and villagers at the opening. "I have always thought children are tomorrow's future and I really enjoy supporting them and giving them an opportunity to be able to go to school. I think it's really important that every child should have this opportunity, so I am trying to help as much as I can." Federer's foundation has been working in Malawi since 2011 and has already built 80 pre-schools across the country, though this was the world number two's first visit to the impoverished southern African nation. Gevretta Kutchedwa, 70, who walked five kilometres to attend the ceremony, said the centre would "give hope to young ones to strive for school." "My grandchildren started school very late because there was nowhere to go," she said. Federer urged politicians to do more for early education. "We need everybody and in particular the government of Malawi on board. Malawi needs more efforts and more funds," he said. 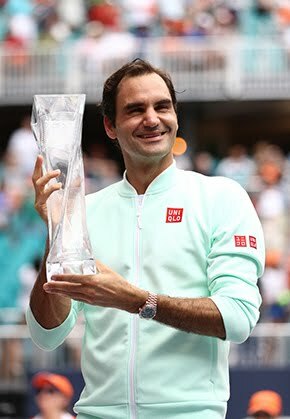 About $13.5 million (12.44 million euros) has been ploughed into the project which Federer hoped would provide support to about 150,000 Malawian children by 2021. Minister of Gender, Children, Disability and Social Welfare Patricia Kaliati said as many as 1.4 million of the country's children had no access to pre-school facilities. She praised Federer's work, saying her country needed to "mobilise all fathers to invest in these children rather than breed more children who lack support." Landlocked Malawi is one of the world's most densely-populated and least-developed countries. Eighty percent of its population live in rural areas and the economy is largely dependent on agriculture. Life expectancy is 60 years, and more than half the population live below the poverty line. Child malnutrition is a pressing issue in Malawi, where more than half of children aged between 18 and 23 months suffer from stunted growth, according to a recent study.